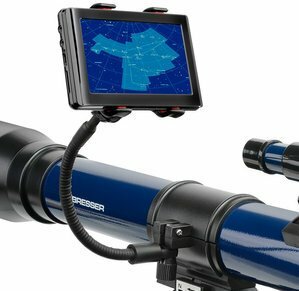 The Bresser Smartphone Adaptor is an adaptor that makes it easy to find celestial objects. With your smartphone you can easily download an application that is suitable for astronomy or for example a digital star chart. This smartphone adaptor works together with those applications. 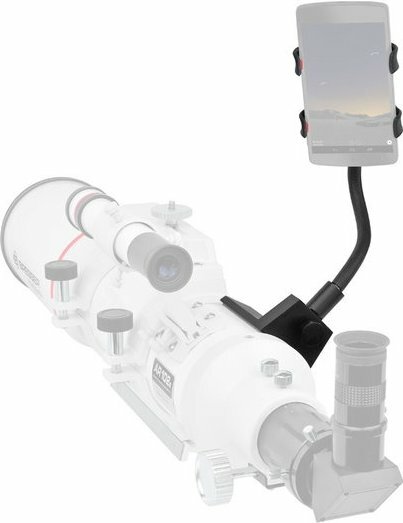 You can mount the adaptor without adjustments to the telescope or binoculars and your smartphone is clamped in the adaptor. This way you have your hands free and you can work comfortably. Write a review By sharing your experience with the Bresser Smartphone Adaptor for telescopes and binoculars, you can help others (perhaps still doubting customers) with making a good choice.